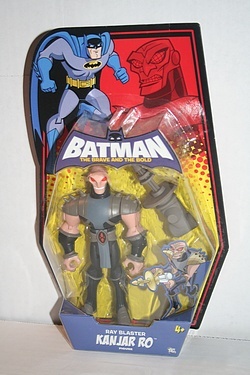 One of the Batman - The Brave and the Bold figures that seems to really be peg warming lately is Kanjar Ro. It's too bad, as he's a well designed character and has a great name, but I guess just doesn't have the star appeal of Plastic Man or the Bats himself. Well, while I was initially turned off by his over-availability, I did finally grow tired of the hole in the collection here at the Preserve and picked one up - click the image for some more shots!